A UK super casino in the city of Leeds has celebrated its second birthday by launching a quirky game of Drag Queen Bingo, alongside an extravagant party to mark the occasion. Victoria Gate Casino invited guests to its second birthday on January 26 to celebrate a second successful year in business. The afternoon saw hundreds of people in attendance as they enjoyed the new game, which will run every few weeks. 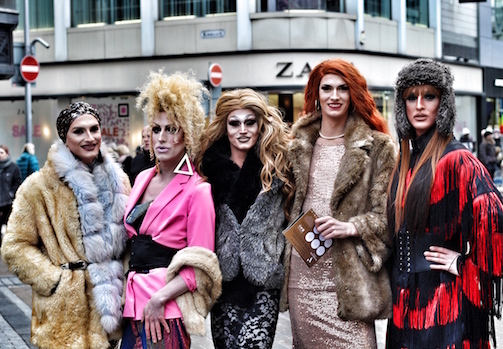 The birthday event was promoted via a drag queen-themed treasure hunt across Leeds city centre, which saw participants following clues on social media to find one of six drag queens to win prizes, including one cash prize worth £250. Patrick Noakes, managing director of Victoria Gate Casino, commented: “In keeping with our mission to create the ultimate entertainment venue in Leeds, it was fitting to have celebrated another birthday in style and it was great to welcome so many guests into the casino to toast to another successful year in business.